The menu features a chalkboard-inspired design to reassure customers that ingredients are fresh and sourced locally. 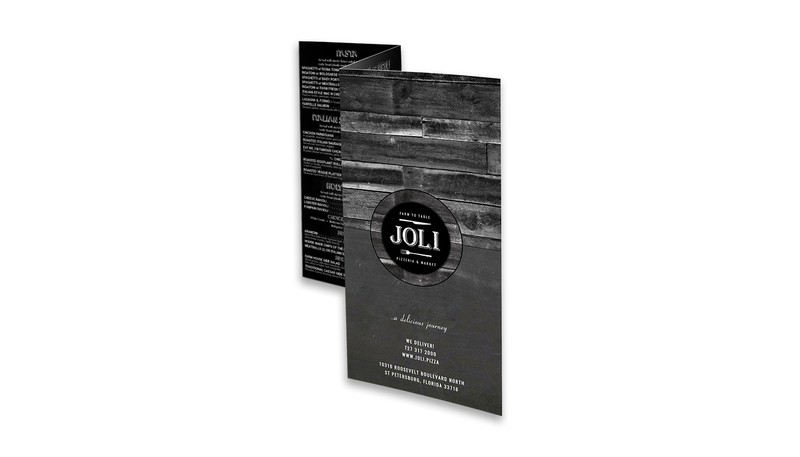 Joli is a casual farm-to-table Italian restaurant infusing modern culinary creativity with classic Italian dishes. Create brand image that would portray fresh ingredients and a modern twist on traditional Italian cuisine. Our challenge was to create a modern logo with while maintaining a rustic farm-to-table look. Business cards, stationery, tee shirts and wine totes were designed to exhibit the same look and feel as the logo. 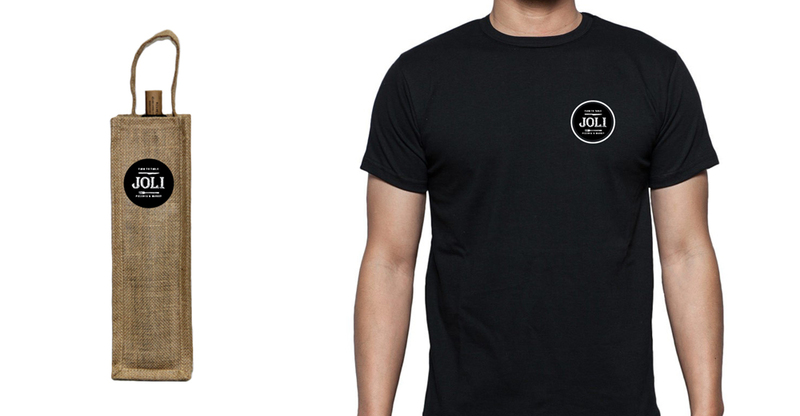 We designed a matching landing page for Joli to display until their website was completed.